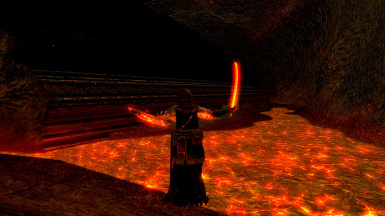 Fix for the horrible neon bright lava that was in certain zones. If you want to use these textures in any texture packs, feel free to do so! 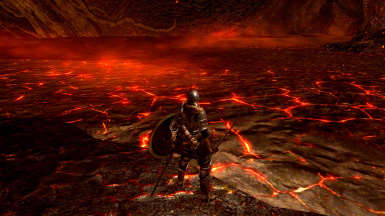 From Software for their hideous lava texture that I had to fix. Also, I thank the many endorsements that have come along now. Fixed the white line issue in both versions. Added a much higher res texture (24 MB file size). 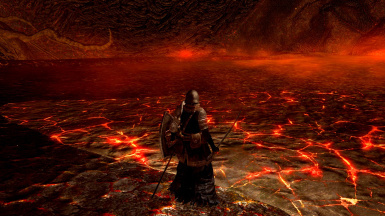 Noticed that the lava looked hideous in a certain area so fixed that problem. First file, 3 pngs with no edits. 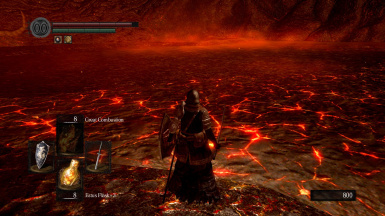 Simply put, I found it absolutely required to fix the horrible lava texture that was currently in the game. Before this fix, the lava made my eyes sore from just looking at it. Something had to be done and this fix should hopefully do it. Set the texture overide setting to 1. Play the game and enjoy not getting your eyes blasted from neon bright textures. (24MBs total for the 3 textures, each texture being a whopping 3000x3000 resoultion!). But, due to my awesomeness, I have already uploaded a smaller file version for you! 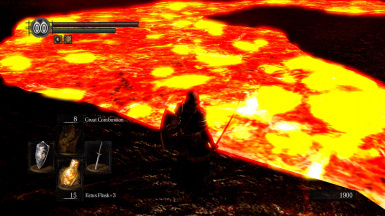 So bathe in the goodness that is lava textures done right in dark souls. Have fun, and keep an eye on this mod later for new and exciting versions!